I’m kind of ashamed to admit this but I almost let my hatred of winter ruin my enjoyment of fall this year. I’ve always hated the cold but I’ve been especially dreading it this year as I now have a busy toddler on my hands and I’m worried about being stuck in doors so much! But. 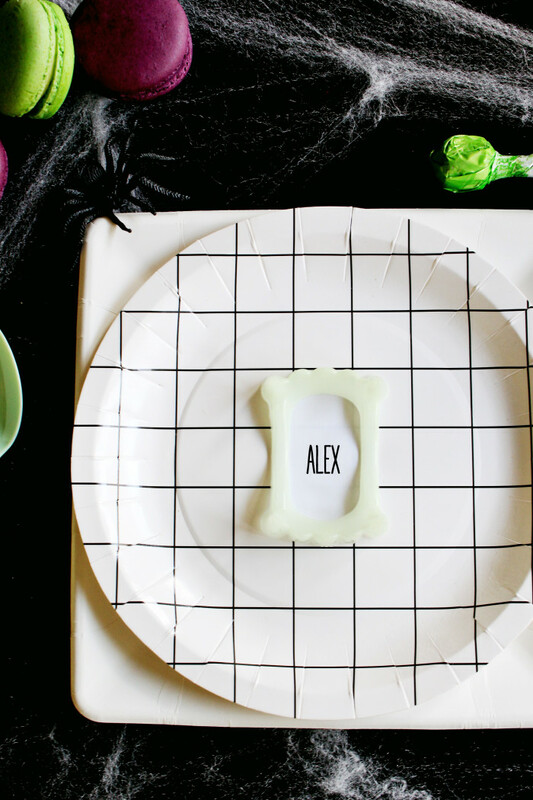 I finally got out my Halloween decorations last week and as I was setting up this shoot for these place cards I felt the excitement I usually do around this time of year. I really absolutely love fall. It has always always been my very favorite season. Despite loving heat, summer has always come in behind fall. Maybe it’s because our birthday is in September, maybe it’s all the holidays coming up but I swear the air feels different, so fresh and exciting, and it’s certainly the best time of year for my wardrobe (I really thrive when I can still wear dresses but throw like 3 thin layers on top of them). This post really has nothing to do with fall, its purely Halloween-y but I brought it up because I honestly thought I just didn’t have the time this year to put up Halloween and wasn’t going to do it this year, but once I did, my excitement for the season finally came back! I hated that I was dreading winter so much it was taking away from fall, I usually try to live more in the moment than that! But I just can’t help how much I truly hate the snow and driving in it and cold toes! However, with spiderwebs creeping across my front porch, pumpkins everywhere and bat-covered string lights up on my balcony, I feel like I can put my cold fears at ease and hold on to the hope that maybe this year will be like last year in which Utah barely had any winter at all! And with that in mind! 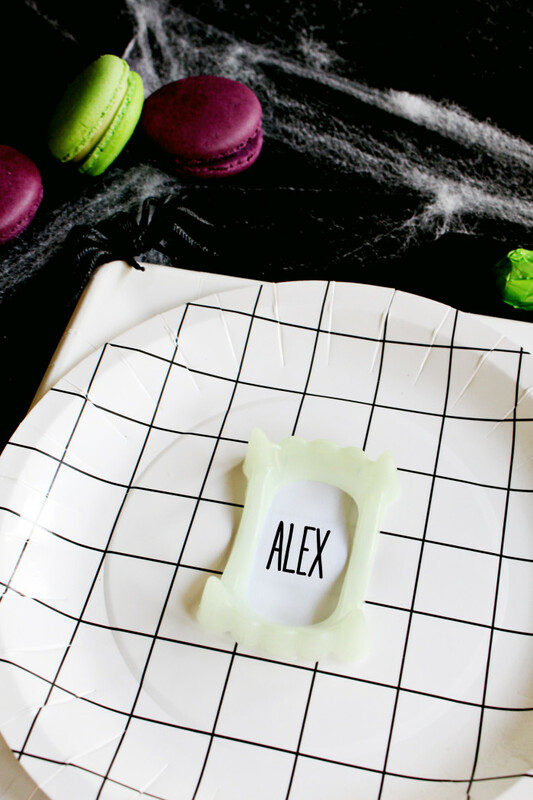 I had the idea for these fun place cards well before last Halloween but I never go around to doing them so I made it happen this year! Vampire teeth are the perfect size for denoting your guest’s names and this can be used for children or adult parties! I’m still toying with the idea of throwing a couples Halloween dinner party this year (yeah better decide on that quick!) and if I do, I’m definitely using these place cards! Even if I don’t, though, setting up this little shoot made me even more excited for my favorite time of year.